Trying to escape from nature doesn’t work. Whether by attempting to sterilize our lives or by trying to simulate nature’s processes, we end up weaker, not stronger. Babies in homes with dogs are significantly healthier than those without them, according to a new study published in the journal Pediatrics this month. The researchers suggested that the likeliest reason is earlier activation of the immune system. This has implications for vaccinations. Vaccines overstimulate the immune system, causing it to focus on developing antibodies at the expense of innate immunity. Vaccines inject antigens, now frequently multiple as in the DTaP vaccine, not to mention a host of other substances including preservatives, adjuvants, and contaminants from the production process. All of the intended and unintended substances present a burden to a young immune system, derailing it from normal development. On top of that, introducing antigens through injections is not natural. It bypasses the natural barriers, such as nasal passages and the mouth. This artificial method of creating antibodies results in both temporary and less effective disease prevention, requiring ever more vaccinations in an attempt to produce disease immunity. The failure of this approach can be seen in the now-prevalent concept of cocooning, which suggests that, if enough people get vaccinated, it will prevent diseases in those who are very young, elderly, or have compromised immune systems—which, by the way, are largely the direct result of autoimmune disorders caused by vaccines. Obviously, any gains from vaccinations must be balanced against harms, which none of our health agencies have ever bothered to examine. As we can see in the fact that having furry pets is beneficial to babies’ immune systems, natural development results in healthier children. A recent study, State of health of unvaccinated children demonstrates that unvaccinated children are healthier. We speculate that animal contacts could help to mature the immunologic system, leading to more composed immunologic response and shorter duration of infections. 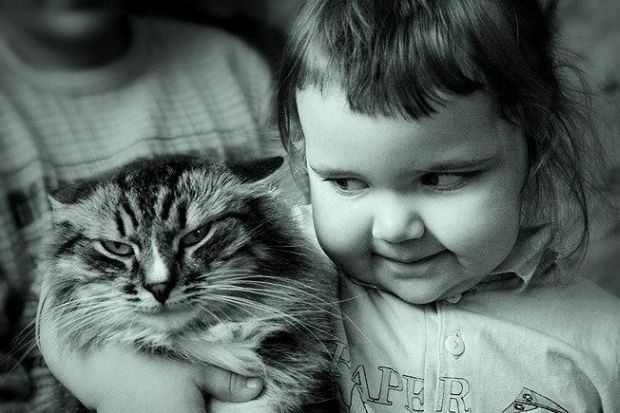 The study examined children in their first year of life and documented that having furry pets is beneficial to the immune system by helping to mature it. In more straightforward terms, the study found that exposure to natural disease-producing substances gives the immune system a chance to do what it’s meant to do: protect against diseases. Before this study, the only benefit in pets was believed to be psychological. It’s now clear that naturally triggering a baby’s immune system is beneficial. Understimulation of a baby’s immune system, that is, attempting to keep a child in a sterile environment, prevents it from learning how to protect health. Overstimulation deranges the immune system, making it overactive and creating autoimmune disorders. Certainly, there are no sure ways to get babies through childhood. However, the more we learn, the more obvious it becomes that trying to circumvent nature virtually always results in far more harm than benefit. Trying to escape from nature doesn’t work. Whether by attempting to sterilize our lives or by trying to simulate nature’s processes, we end up weaker, not stronger. Isn’t it time to stop medicalizing our lives? We need to stop trying to control and separate ourselves from nature if we want to have any semblance of a healthy existence.